Fun leaf themed activities, resources, book lists, and printables to round-out your preschool leaf theme. Add these to your fall preschool themes. This fall, teach preschoolers about leaves and trees with these amazing activities and resources. Everything you need to pull together a leaf-themed unit study for your young learners. 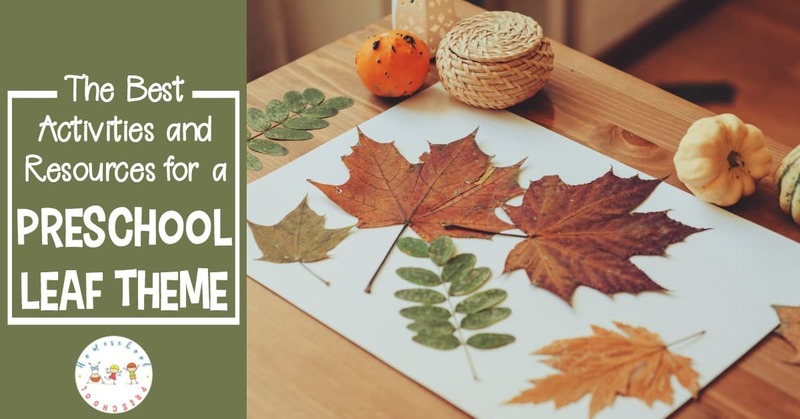 • 25 Fall Leaf Crafts for Preschoolers – As the leaves begin to change colors, inspire your preschoolers to explore their creative side with these simple fall leaf crafts and activities. 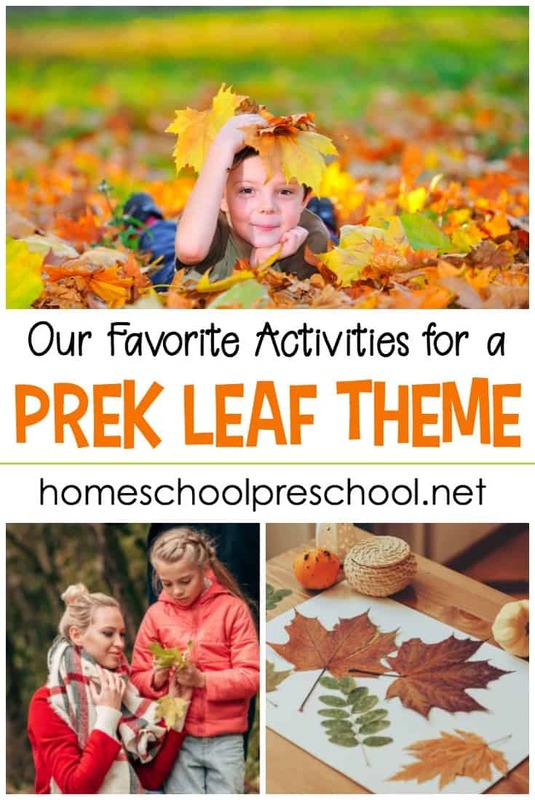 • Autumn Leaves Activities for Toddlers and Preschoolers – If the leaves are starting to change colors in your area, add one or more of these autumn leaves activities for toddlers and preschoolers to your lessons! • Autumn Count and Clip Cards Bundle – Fill your preschool math centers with these autumn count and clip cards. Crows, pumpkins, sunflowers, and leaves adorn the cards in this printable bundle! • 20+ of Our Favorite Books About Leaves for Preschool – Come discover some of our very favorite picture books about leaves for preschool. Fiction and nonfiction books for beginning readers! • 20+ Leaf-Themed Science Activities for Preschoolers | As the leaves begin to change colors this autumn, it’s a great time to explore leaves with these engaging leaf-themed science activities for preschoolers. • 25+ Autumn Activities and Crafts for Preschoolers – Leaves, scarecrows, apples, pumpkins and more. These easy activities and crafts are perfect along side your autumn preschool lessons! • Leaf-Themed Fine Motor Activities – Autumn is just around the corner. Help preschoolers build motor skills with these leaf-themed fine motor activities that are perfect for fall! 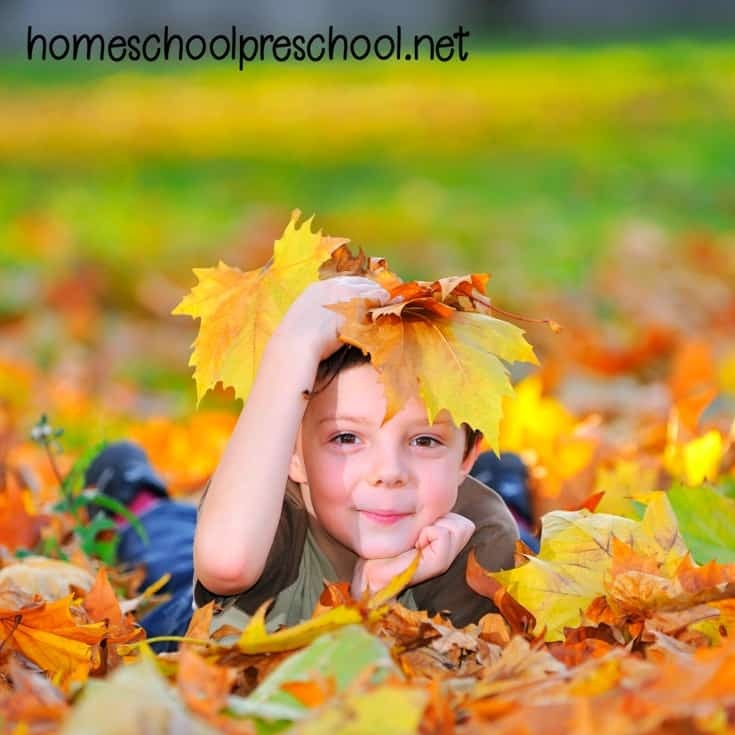 What is your favorite activity for a preschool fall theme? Be sure to leave a comment below, and let me know!